Police on Wednesday evening rounded up five suspected con men at Makerere University believed to be behind a $200,000 (about Shs 735 million) gold deal scam. The suspects allegedly conned out of Assi Soubhi up to $200,000 about 3 years ago. Soubhi is a resident of Bogota, in Colombia and a dealer in rare and precious gemstones. Four of suspects are male with one female. Some of the suspects have been identified as Stellah Kalungi, David Kironde, Ronald Kamugisha, Nasser Kibirige and Yazidi Kabonge. It’s not immediately clear how the suspects conned Soubhi out of all that money. 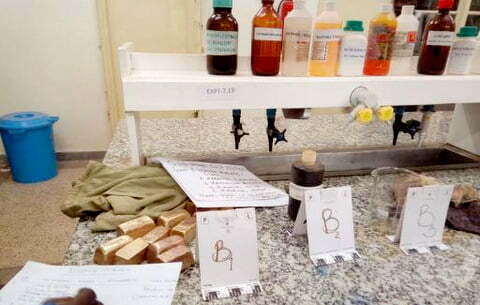 The suspects were arrested from the physical chemistry lab at the College of Natural Sciences, Makerere University after a three-hour operation by police officers from CID headquarters in Nsambya. The con men arrived at the university in three separate cars, a Mercedes Benz E320 registration number UBB 292C, a Subaru, registration number UAY 907W and a Land Cruiser registration number UAQ 823F. All the cars have been impounded by the police. There was heavy firing of bullets as police arrested the gang. Two suspects, believed to be employees of Makerere University, managed to escape the arrest. 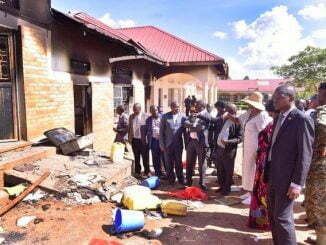 They were identified by staff from chemistry department as Mutenywa, a lab assistant and Budigi Ruharara, the chief technician in the chemistry lab. 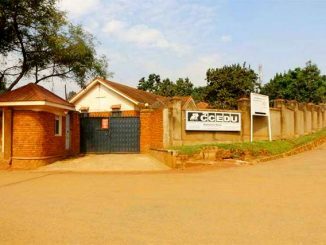 One lecturer identified as Dr Gabriel Nullfield Kasozi was also implicated in the scandal having been found in the lab at the time of the operation. After several hours of pleading for fear of embarrassment, Dr Kasozi whose office can only be accessed through the lab was made to record a statement at the scene while the other suspects were taken to Kibuli CID headquarters. 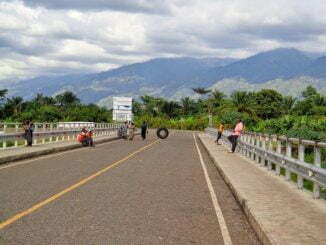 According to Prof J.Y.T Mugisha, the Principal of the College of Natural Sciences, Mutenywa, a university staff had been arrested over a similar case. “That Mutenywa I received a case in my office that he had been arrested and implicated in a similar case about two-three months ago. He was later released after 14 days because there were no witnesses to implicate him,” Prof Mugisha told this publication. Police says they have been tracking the suspects for the last three years since the crime was committed.